We are expanding our product line to offer our customers quality unique products that work. We have personally tested each one of these products so we know you will not be disappointed. We are looking for representatives, distributors, and retailers to take on these products. Please call us an inquire about any of the product below. To learn more about each product, click on the icon to see a full discription about each product. I guarantee you will be amazed by what each product can offer. Keep watch for new products coming soon! Remove virtually any odor or stain with Odor-Z-Way®. Our odor and stain removal product is guaranteed to remove the odors and stains that are bothersome in your home, garage, etc. Odor-Z-Way® is a premier product on the market used for odor and stain removal. Click here to learn more about the Home Odor-Z-Way®. Clean and lubricate aluminum doors, hinges, windows, and much more with AlumaSlick. AlumaSlick is a premier product that can be used in a variety of different applications. Click here to find out moreabout AlumaSlick. 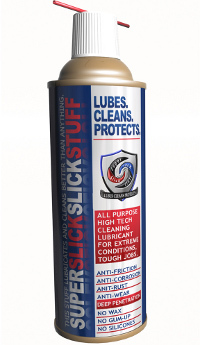 SuperSlick is an excellent lubricant, cleaner, and penetrant that can be used on virtually any type of moving part. SuperSlick works better and lasts longer than any of the other competition out on the market today. Learn more about Superslick by clicking here. Remove virtually any odor or stain with Odor-Z-Way®. Our odor and stain removal product is guaranteed to remove the odors and stains that you acquire in athletics. Odor-Z-Way® is a premier product on the market used for odor and stain removal. Click here to learn more about Sport Odor-Z-Way®. © 2006 M-J Odor-Z-Way®, LLC.